Degenerative Disc Disease (also known as spondylosis) is a condition caused by a breakdown of intervertebral discs. As you grow old, your spinal discs begin to show signs and symptoms of wear and tear. Such age-related changes can lead to disc herniation, arthritis, or spinal stenosis which can put pressure on your spinal cord and nerves thus causing back pain. Degenerative Disc Disease can take place throughout the spine, but it most often occurs in the discs found in the lumbar region and neck region. Changes in the disc can result in back or neck pain or other conditions such as; Spinal stenosis, osteoarthritis, or herniated discs. These conditions can put more pressure on the spinal cord leading to pain thus affecting the nerve function. Symptoms of degenerative disc disease vary from one individual to the other. Most people with deterioration of the condition experience no pain while others experience intense pain that may interfere with their daily activities. The interesting part is that although this condition affects most people in their 20s and 30s, older people are less likely to experience back pain caused by deteriorated discs. The pain may begin from the lower back and proceed to the legs and buttocks (sciatica). The patient also feel numbness or tingling in your leg or foot. Also, you may experience occasional episodes of intense muscle pain from time to time. The episodes may last for days or even months. Loss of fluid in the discs which helps reduce the ability of the discs to act as shock absorbers. Tiny cracks or tear on the outer layer of the disc. This makes the disc to bulge or break into fragments. These incidences are likely to occur in people who smoke cigarettes as well as those who do heavy physical work such as weight lifting. Similarly, people with obese or overweight are vulnerable to have symptoms of degenerative disc disease. Apart from age and injury, arthritis and osteoporosis and both degenerative conditions contribute to degenerative disc disease. How is Diagnosis of Degenerative Disc Disease made? Degenerative disc disease is diagnosed by a back specialist Seattle doctor who takes your medical history and a physical examination follows. The back pain Seattle doctor will ask about injuries or illnesses, symptoms, any previous treatments, and habits that may lead to pain in the neck, back, arms, buttock or legs. In the process of examination, the doctor will check the range of motion for areas affected, traces of tenderness and changes such as numbness, tingling or weakness in the affected areas and conditions such as tumors, fractures as well as infections. Your doctor may also enquire the following imaging studies: X-ray, discogram, MRI scan, or a CT scan to identify the presence of herniated discs, a tumor or other conditions that may compress the nerve roots. 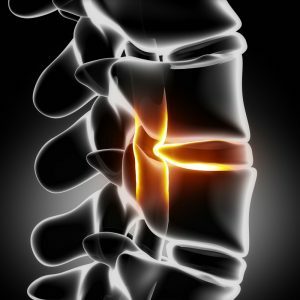 What are the Treatment Options for Degenerative Disc Disease Back Specialist in Seattle? To help relieve pain in degenerative disc disease, put ice or heat it on the affected area and use medications such as acetaminophen (Tylenol) or Nonsteroidal anti-inflammatory drugs such as naproxen or ibuprofen. In case you develops health problems such as osteoarthritis, spinal stenosis, herniated disc, you may need further treatment. These treatment options include physical therapy and exercises for stretching and strengthening your back. In severe cases, surgery may be recommended. It involves removing the damaged disc. 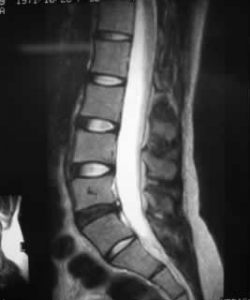 In some cases, the bone may be used to join the disc permanently to protect the spinal cord.